Another caveat that boot manufactures often have a hard time overcoming; is having a shank/midsole design that’s stiff enough to handle technical terrain, but yet is still comfortable when worn on milder terrain as well. It seems that in most cases it’s either one or the other; you either have a dedicated “mountain” boot and then something completely different for hunts that are more mellow topographically. 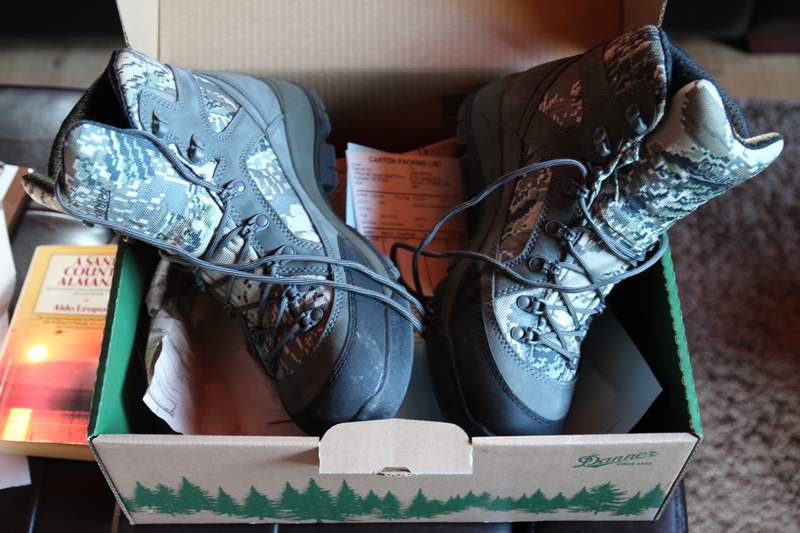 Danner finally nailed it with their Dynamic Response System platform. I have one other pair of Danners utilizing this platform (Mountain Assault GTX) and I have to say, it’s a very odd sensation! On one hand, you have a stiff shank that you can definitely feel while walking on flat surfaces….and yet you can also feel what seems like a cushion of air that runs from the heel through the forefoot. Finally there is a boot that can handle just about any terrain you decide to tackle and do it comfortably! So far I am super stoked and pleasantly surprised with these new Danner Gila boots! I will no doubt be interjecting my thoughts on them as the season progresses, but here is just my initial impression and observations. The only boot in my closet that I thought the new Danner Gila was in the same class with and comparable to, was the Lowa Khumbu II GTX. The Lowa Khumbu II’s weigh in at 3.9 lbs. and are 6″ tall. 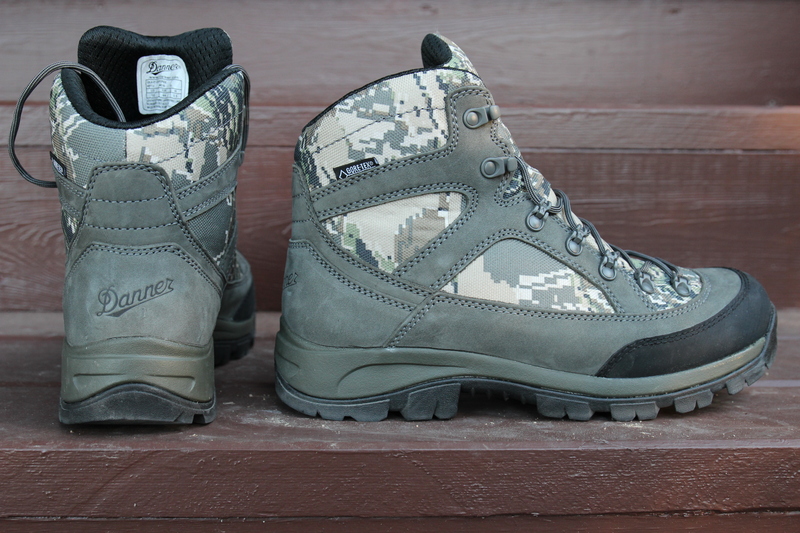 The Danner Gilas come in at 51 oz’s (3.18 lbs.) and are also 6″ tall. 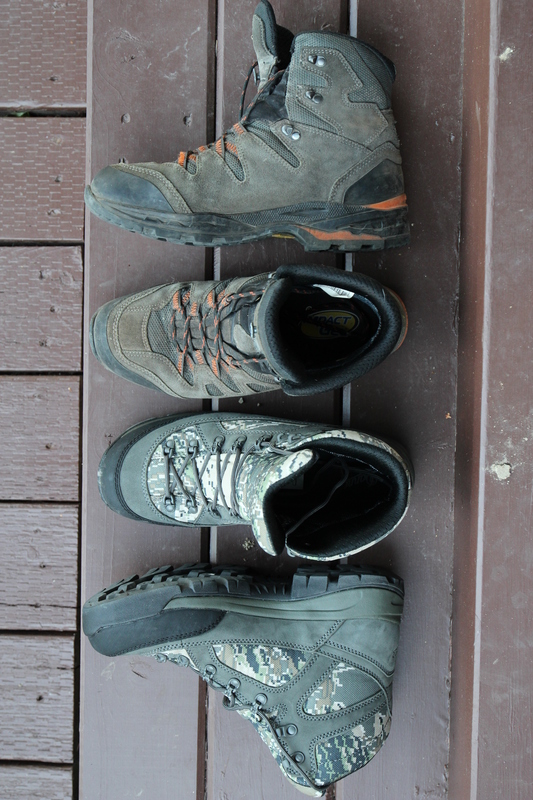 Both boots utilize GORE-TEX liners. Last year while looking for something lighter weight to tackle the early season hunts with, I had picked up a pair of Lowa Khumbu II GTX boots. The Khumbu II’s are a great boot; light and nimble with an awesome outsole. My only complaint was that they beat my feet up on flat terrain (walking on logging roads, etc) and also were pretty harsh on my feet while tackling steep and technical terrain. This led me to go back to my heavier and less nimble Kenetrek Mountain Extreme boots when the going got rough. When the UPS driver showed up at my work yesterday, with a box from Danner, I immediately tore it open and just had to try these new Gila’s on! I ended up wearing them all day at work (even though they really didn’t match what I was wearing) and then later, went for a two mile hike, while wearing a 55# pack. These boots are one of the few that I’ve tried, that are instantly comfortable right from the box. I noticed immediately that they seem to posses a bit more padding than my Khumbu II’s. I also noticed that Thinsulate insulation is listed in their specs. My guess is that since the uppers are largely comprised of highly breathable mesh, the Thinsulate is used not only for a more comfortable fit throughout the upper, but to keep a buffer between the outside surface and your feet. Otherwise your feet would be freezing during those cold, September mornings or anytime you stopped to glass while on some windblown ridge top. I can notice a nice bit of air flow as I walk, which keeps your feet at an even temperature. This feature will pay dividends throughout the rest of my August scouting missions and well into September while the temperatures remain warm during the day. 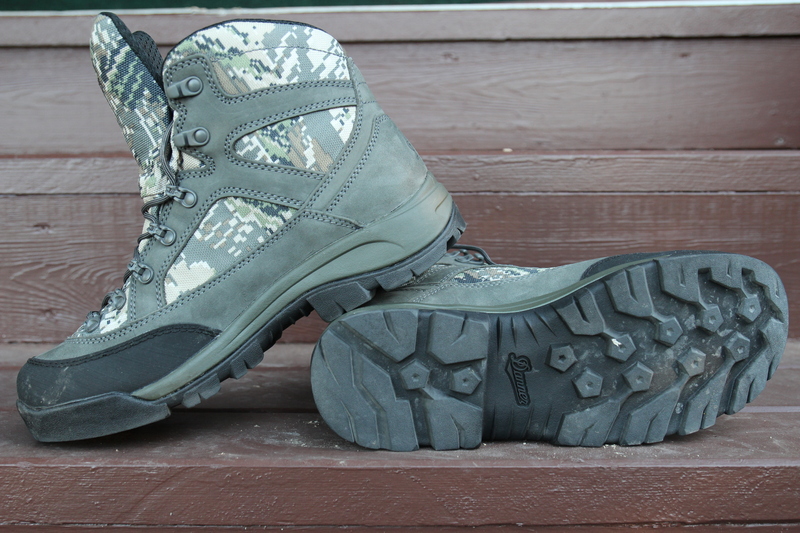 All in all, the Danner Gila is a great looking boot. 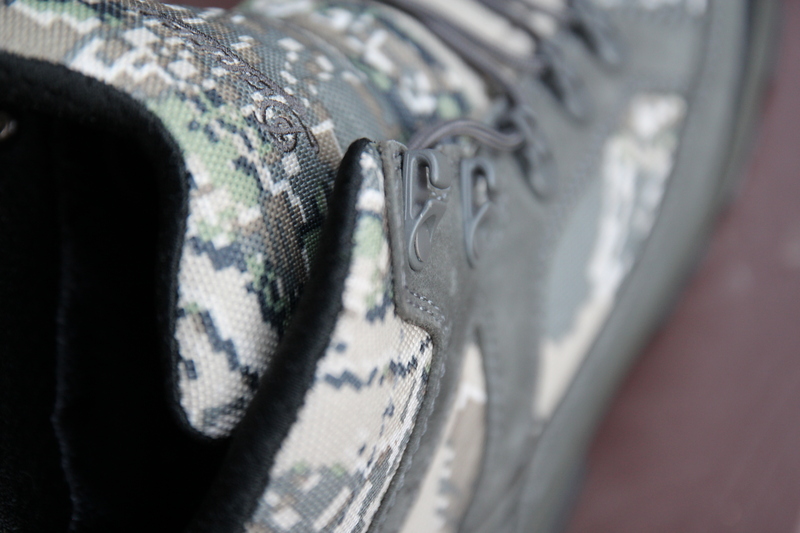 The combination of mesh finished in the GORE Optifade Open Country camo pattern and Nu Buck leather, rounds out for a very functional and aesthetically pleasing upper. Danner utilizes a Vibram outsole with a Danner specific tread pattern. This tread seems to do well on both granite and dirt surfaces alike. There is a rubber rand that encapsulates the foremost portion of the toe and wraps around to almost the mid point of the midsole. A full-wrap rubber rand is always nice, but will of course add to the overall weight of the boot. There is just enough coverage in the correct areas that should suffice with staving off harsh abrasions met out by merciless, Alpine granite. One feature that seemed novel and unique to me, was the way that the eyelets are configured. They utilize a hook of sorts, that covers the backside of the lace, which keeps them inside the confines of the eyelet. I can see several benefits to this, but mainly they add to the speed and ease of the lacing process. One of the unique features that I immediately noticed, was in the design of the eyelets. They utilize a hook of sorts on the backside, that guards the laces and keeps them within the confines of the eyelet. Now all that’s left is to get these bad boys out on the mountain and put them through their paces. I have some scouting trips to get in before the September opener and will be using these boots during my training sessions. I cannot think of a better way to break in a pair of boots, then wearing them while you train. Hopefully by the time I head out over Labor Day weekend for my annual high mountain bivy hunt for Mule Deer, my feet will be intimately familiar with the foot bed of these Gila’s and I will still be feeling the warm and fuzzies as I power up the mountainside. Stay tuned! ← Cold Steel knife giveaway!